March | 2018 | Mothers Against Wind Turbines Inc. It pains me to find that my faith in Ontario’s judicial system has turned into cynicism. • Endangerment to human health, citing their proximity to the Collingwood Regional Airport and Kevin Elwood’s aerodrome. • Irreparable harm to an endangered species, citing the impact on the habitat of little brown myotis bats. The ERT found in favour of the appellants on both issues! That should have been the end of it, with the MOE approval revoked. Notwithstanding WPD having every opportunity to present remedial arguments during the hearing, the MOE, being unhappy with the results of the hearing, provided WPD an additional month to provide a remedial argument. WPD failed to do so. The MOE then allowed WPD another week, with WPD failing again. However, WPD did concede the ‘Danger to human health’ issue. Again, that should have been the end of it, with the MOE approval revoked. In complete disregard of the Tribunal’s ruling and WPD’s conceding the health issue, the MOE invoked the necessity of a remedial hearing. In other words, give us the ruling we want. Since the MOE appoints the ERT and pays their salaries (a conflict of interest) they applied unusual pressure on the Tribunal. In spite of MOE’s meddling, the ERT rose to the occasion and again found in favour of the appellants. The MOE’s approval was revoked. There will be no Fairview Wind Farm… YEA! If this is a sample of what we can expect of government manipulating the wheels of justice to further their agendas, we can only become more cynical. It’s been longer than I would have liked, to post another update. That’s the funny thing…as the information changes quickly, its hard to stay ahead of it. I want to give a bit of a back story. We have been at this water protection thing for almost two years. But our lack of water started in July, 2017. In our case, pile driving for wind turbines near our house started on July 27, 2017. By the end of the next day the water quit coming into the house in the middle of someone’s shower. We found that the sediment traps we had installed to monitor our water quality ahead of the construction were clogged with sediment. 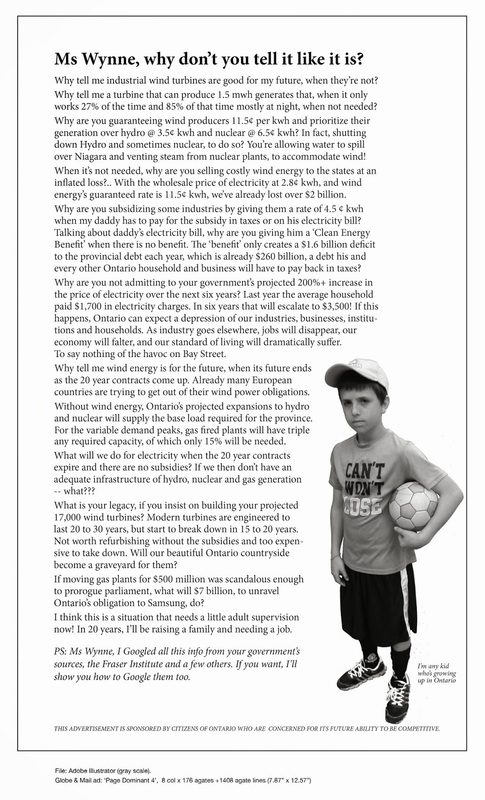 We had never seen this before…..
A new blog coming from Ontario detailing the serious changes to daily life as a family struggles every day with the loss of clean water that occured after the wind turbines were built. It highlights the lack of meaningful resolution not only by the wind industry and project operators but also the failures of the government to be protective and serve the people. Our fight for clean water and quiet country living. With the NRWF project down for days, our community is reminded of the pure, nature’s darkness of our night skies. The stars are bright and the neighbourhood is silent. “I took pictures on my way home tonight and fought tears as I recall how much I loved my home and quiet remote community. I quickly turned those tears into motivation; we will get our health, skies and communities restored. “I wonder whether anyone is noticing changes in their health status now that the turbines have not been operational since early Monday and making the connection? What an opportunity to self assess the symptoms that are not present. I now recognize that depression has been one of my symptoms. Today for the first time in months I have felt motivated. My frequent companion dizziness has decreased so much. I have not felt the achy head pressure and my concentration is back once more. “The heavy blanket has been lifted. You know those blankets we wear at x-ray time to protect our thyroid etc? That’s how I feel I am each day – everything is a chore. The haze – the dense cloud I have been living in is gone. The clarity present yesterday and today is remarkable. “Delayed Perception. Now that is an interesting term. Have you ever driven in the evening at night and seen what appeared to be huge red taillights ahead of you? I wondered why the red taillights I was seeing were so large only to discover moments later that they were the red traffic lights at the next intersection. This should have been an automatic observation. I am having moments of delayed perception in other instances as well. I found myself making silly mistakes and then wondering why I had done that. I am struggling through the brain fog. On day number 3 of the shut down of the project I noticed that my depression had lifted. I felt energetic and did some household chores which had been neglected for quite some time. I did not have the energy nor the motivation to do them before. I had a feeling of enthusiasm and normalcy that had become a stranger to me in the past months. Two families are taking legal action related to a plume of construction dust from a Niagara Region Wind Farm construction site in 2015 that they say has left them with physical and mental health issues, as well as property damage and monetary losses. Raymond Sherman and Alexandra Karatopis Sherman, along with their three children, and Stefanos Karatopis — the brother of Alexandra — are named as plaintiffs in court documents that were originally filed last summer, about two years after the July 23, 2015 incident. A list of 25 defendants, including 10 individuals whose identities are unknown, are named in the notice, ranging from stakeholders in the Niagara Region Wind Farm, to construction companies and employees to the Township of West Lincoln and Region of Niagara. In court documents, the plaintiffs allege workers at the wind farm on Regional Road 20 in West Lincoln were discharging a construction dust which made its way into the house. While the parents were not home, the Sherman children were and the documents allege they had difficulty breathing and their eyes were burning. The tribunal ultimately ruled last August to revoke that approval on the basis the planned 500-foot-tall turbines presented a serious risk to human health because of the proximity of the project to the Collingwood Regional Airport and the Clearview Aerodrome owned by the Elwoods.